Gosh Muffy...It's the Coloring Book Page! 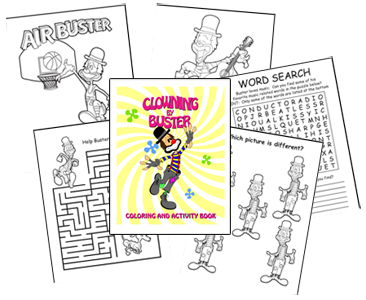 Here's a pretty neat 14 page coloring and activity book that's guaranteed to give you years of enjoyment. The book is presented in the ever-popular PDF format. Once downloaded, be sure to print up two copies: one for home and one for the office. The book is about 5 MB in size, so it may take a few minutes to download, depending on your connection speed. You must have Adobe Reader installed on your computer to view and print this book. Unless your computer was manufactured during the Hoover administration, there's a good chance that you already have Adobe Reader installed. If you don't, or just want the latest version, you can download it for free from the Adobe Website.